As part of the ESR funded project Will Gibson, Helena Webb and Dirk vom Lehn have published a paper that explores new ways in which a reflection on the use of transcript in the examination of video-recorded interaction can aid the analysis. This article explores the role of transcripts in the analysis of social action. Drawing on a study of the interactional processes in optometry consultations, we show how our interest in the rhythm of reading letters from a chart arose serendipitously from our orientation to transcription conventions. We discuss our development of alternative transcription systems, and the affordances of each. We relate this example to constructivist debates in the area of transcription and argue that the issues have been largely characterised in political terms at the expense of a focus on the actual processes of transcription. We show here that analytic affordances emerge through an orientation to professional conventions. The article ends by suggesting that a close reflection on the design of transcripts and on transcription innovation can lead to more nuanced analysis as it puts the researcher in dialogue with the taken for granted ideas embedded in a system. The article is on Early View at Sociology and with access can be downloaded here. University. “Symbolic Interactionist Takes on Music” was a big hit. Attendees: Please post your two cents on the C-S! About a year ago, I came across a documentary about the Barbie Doll, entitled The Tribe. The film links the history of Barbie to the question of what it means to be Jewish today. I was intrigued not only by the content of the film but also by its composition, a mixture of old and new, short cuts and longer sequences, and a narration by the memorable voice of Peter Coyote. The fil sparked my curiosity to look for information on who was behind the film and if the producer had embarked on other, related projects. It didn’t take me long to find the website to the film and to that of its producer and director Tiffany Shlain. Apart from having directed and produced this fabulous documentary Tiffany also is the founder of the Webby Awards and the co-founder of the International Academy of Digital Arts and Sciences. Most recently she has produced the highly praised and award winning “autoblogography” Connected. The various communications about Connected distributed on Twitter and elsewhere enticed my curiosity about Tiffany’s larger project further. 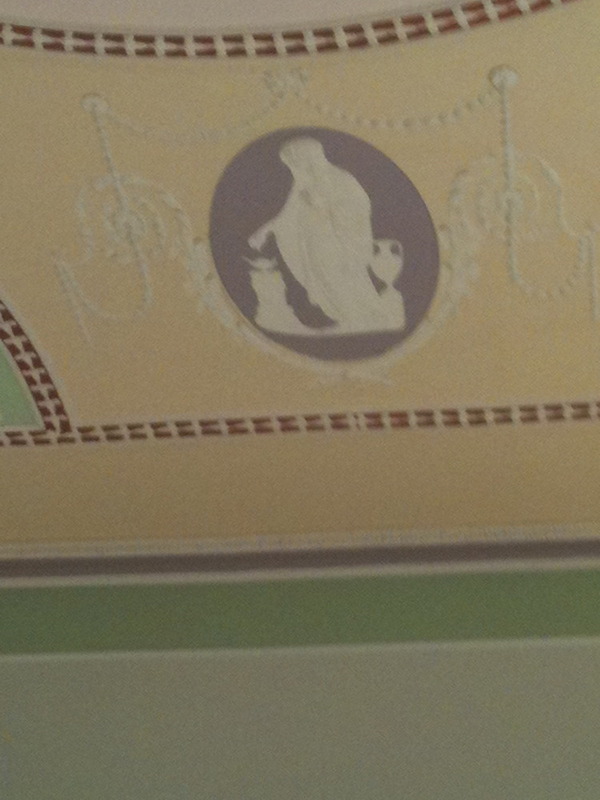 Whilst still not having seen Connected – when do you come to London, Tiffany? 😉 – the documentary (seems to) advance(s) her interest in the opportunities and challenges we face in a social world pervaded by technology designed to connect us all with each other. This technology and the social media that we increasingly use everywhere on our mobile devices allows us to connect with people across the globe. As an illustration of this interdependence between people Tiffany and her team set their Twitter followers and Facebook fans the task to translate the text of “A Declaration of Interdependence” and read out in front of a running camera. The result is short film produced in collaboration between complete strangers. Maybe mesmerized by the possibility to connect with so many people around the world we find it increasingly difficult to put the phone to the side and connect with those nearest to us. We take out our phones in the middle of conversations or disappear to the toilet during dinner to check up on Facebook notifications and Twitter updates. Technology interrupts our daily interaction. “Who have I become?”, asks Tiffany, and comes up with the idea of a Technology Shabbat. She switches her phone off on Friday evenings, for 24hours, and encourages her friends, fans, and followers to do it like her. Apart from notifying us all about her unplugging on Friday nights together with her husband Ken Goldberg she has produced another short film, “Yelp! With Apologies to Alan Ginsberg’s ‘Howl'”. With the film Tiffany encourages her audience to unplug as well from time to time. Do it like her, switch off your networked devices and gain the time and focus to engage with your friends and family, at least one day a week, without being interrupted by blinking and beeping devices notifying you about the arrival of new messages and updates. Having resisted her request for a few months last weekend I decided to give it a go and unplug. Gosh! No idea had I how difficult that would be. Apart from the habit to reach for my phone whenever I sit down and check on nes, the unplugging brings with it some practical issues. A complete phone blackout was out of the question as my weekends are organised in ways that involve phone use at various occasions to coordinate meet-ups with the rest of the family. So, the only thing I did manage was to unplug from social media. Effectively I switched off my Facebook, Twitter etc. connection from Friday evening to Sunday morning. This worked out okay and gave me time to do other things without staring at the phone in the middle of a game or while reading a book. Also, rather than spending some time on Twitter on Sunday morning, I read a newspaper and then finished a book, The Digital Scholar. Overall, the Technology Shabbat has been an interesting experience for me and I will do it again, hopefully to greater effect, at the end of this week. While refraining from accessing social media I also remembered a paper presented at the 2007 CHI Conference in San Jose, CA, namely Allison Woodruff and colleague’s “Sabbath Day Home Automation: ‘It’s Like Mixing Technology and Religion“, that seems pertinent to the issue. Woodruff discusses her observation in orthodox Jewish homes who because for religious reasons they are not allowed to operate technology, rely on on automated systems to help them out. She sees these automated systems as examples for technologies that are neatly embedded within the lives of people without interrupting or disrupting their social arrangements. Maybe over time we will find ways to embed our mobile phones and our social networks equally neatly into our lives. Putting my half-failed attempt of a technology shabbat to one side, I am looking forward to seeing Tiffany’s project which a bit clumsily might be summed up as an exploration of the technology induced tension between interdependence and identity, develop. Connected is in the cinemas in the USA and elsewhere since this autumn. Last night, May 24th, I was one of 20 lucky participants at a discussion organised by The Kernel Magazine at London’s Adam Street Private Members Club. The event was invitation-only and limited to subscribers of the Nutshell, The Kernel’s weekly newsletter. A friendly bunch of Venture Capitalists, entrepreneurs, bloggers, journalists, a social worker and a sociologist gathered around the table waiting for Andrew Keen, the self-styled “Anti-Christ of Silicon Valley” who had just published his latest book “Digital Vertigo”. Andrew (@ajkeen) of course is the author of “The Cult of the Amateur”, a book published in 2007 that puts a lid on the overexcitement for peer production, user-generated content and the associated Web2.0 hype. While waiting for Andrew’s arrival it transpired that with Damian Thompson, the Editor of Telegraph Blogs, another author was amongst us who had just published his new book “The Fix: How Addiction is Invading our Lives and Taking Over Your World.” In the book Damian argues that currently more and more products are created and marketed that have seductive, even addictive, qualities; like the alcoholic reaching for the needle, people taking painkillers and munching cupcakes, we increasingly feel compelled to look at our smart phone or play video-games. In the discussion of his book Damian illustrated his arguments by referring to his interviews with drug addicts, video gamers and psychologists. These examples provided a good starting-point for Andrew Keen who in the meantime had arrived, not in a ball of fire but with a friendly smile to discuss his “Digital Vertigo”. As it turns out some of the arguments Andrew makes in his book are closely related to the case Damian makes in his book, as Andrew writes in a review published in The Kernel Magazine yesterday: “whatever it means to be human means not be addicted to foreign substances, devices or networks” (A. Keen 2012). In the course of the dissemination of social technologies people give up their privacy and post their ongoing engagements on Facebook, Twitter and other networks. Thereby, maybe without their knowledge, they render formerly private activities like watching television or reading, public. They not only post messages of their activities but the technology itself makes visible what they are doing and people seem to enjoy exhibiting their (private) activities; social television and social reading are just some of the most recent trends in the exhibition of private activities. Andrew in reference to Damian Thompson’s “The Fix” pointed out how these social technologies bear characteristics that make an engagement with them “addictive”. People are lured into social networking sites with the promise of connecting with others, and once they have arrived there find it hard to disconnect and to not check their Facebook sites and Twitter feeds. In my view this constant checking of our displays cannot be explained by an “addiction” alone but is due also to the fact that we become accountable when we fail to respond to a status update or tweet directed at us. We may receive an email, a text message or even a telephone call to remind us on our obligation to attend to our “friends” actions. Ignoring an update is not an option. What Thompson describes as “addiction” at least bears an additional quality that is that by signing up to a social network we acknowledge a tacit agreement of being constantly available to attend to our “friends’” and “followers’” actions. With this point Andrew links to recent movements that have emerged on the web, such as #technologyshabbat on Twitter and theundolist.com. These Twitter and web-campaigns call on people to unplug at least once a week and make time to connect with friends and family without the constant interruption by the glance to the phone. The discussion on the evening however went beyond arguments about addiction and the internet as a technology that may disturb social relationships and moved to political questions like the role of the state as legislator, the need for more suitable “education” and debates about the need for privacy to secure space and time for human existence. I may overstate the level of debate here, we did have a glass of wine as well, but Andrew’s book starts with the philosopher Jeremy Bentham who up to the present day is displayed for public inspection in a glass-case at University College London. Bentham is relevant to the debate about the impact of social technology for various reasons, including his invention of the panopticon that nowadays is often cited as the intellectual base for the emerging surveillance society or “transparency society” (David Brin). As people spend increasing time online and use social technologies to share their experiences with others, companies gather data about online activities because in the ‘Like-economy’ these activities are a commodity. In effect, the argument goes, Facebook and cognate companies exploit people’s narcissism by encouraging them to exhibit themselves, their whereabouts and ongoing activities. ants in the discussion, maybe not surprisingly considering their background, countered Andrew’s argument and pointed to technologies that provide new opportunities for people to connect with each other and information without revealing data about themselves; examples for these developments are private search engines or browsers that hide people’s identities. This point led to another strand of debate concerned with the Filter Bubble effect and opportunities for serendipity. Again, some of the participants in the discussion suggested that search engines, tracking technologies and recommender systems have become better at creating interesting results for their users. Yet, there was agreement in the room that clearer information needs to be provided about ways in which technologies extracts information from people’s private and public activities, on- and offline, to turn it into data and utility for companies. Whilst the term “education” came up, it seemed to be too vague to suffice to address the lack in skill and competence in using smart and social technologies. Unfortunately, the evening then had to end despite us all getting increasingly excited about the event itself. Milo promised that The Kernel Magazine is planning to make these debates a regular, hopefully twice monthly event. We are all looking forward to them! Just out! Symbolic Interaction, Special Issue on "Interaction"
The other day I was reading an academic paper on an iPad; the paper had a number of references to Jack Kerouac’s ‘On the Road’. Halfway through the paper my desktop signalled the arrival of an email. On opening the email I had to look twice – the publisher Penguin had sent me a message saying that Jack Kerouac’s ‘On the Road’ was available as ebook now. Coincidence? Most probably. But the crawling and searching of our computer screens for activities makes such events increasingly possible and likely to occur. One company that engages in such actinides to monitor people’s online activities is Google. Recent publications have critically discussed these activities and pointed to the pitfalls for users and customers. Eli Pariser (2011) explicates how Google, Facebook and other companies use the tracking of online behaviour to reduce the amount of information made available to us presenting us with personalised information. Finds on Google Search are tailored to our search behaviour and our interaction on Facebook tailors the News Feed to show information posted by those we interact with, whilst other of our ‘friends’ don’t appear in the news feed anymore. The result is what Pariser calls ‘Filter Bubble’ that makes us to read, watch and listen to more of the same. Pariser’s book has had considerable coverage in the media’s review sections and on blogs. Whilst its principal argument is appreciated it is has been criticised for not taking into account the complexity of recommendation engines and the practices of people’s search behaviour. If an initial search result is dissatisfying we continue our search without taking for granted Google as an authority that shall not be withstood. We might even try Yahoo or Bing to see what finds they produce. Yet, on the first glance the way in which Google presents its finds suggest that there is an authority at work that provides us with comprehensive, objective and unbiased search results. For academics therefore Google Scholar often seems to the first and best point of address to search for academic articles. Thus, Google Scholar has made access to scholarly research easy and convenient. You type in keywords into the search engine and it returns a list of finds ordered by relevance. The results link to academic journals that with the appropriate access can be downloaded immediately. Again, the impression given is that the finds are comprehensive and unbiased. No indication is made that over (more) relevant research might be out there than what is presented on the screen. Siva Vaidhyanathan’s ‘The Googlization of Everything’ powerfully dismantles the view of Google search as providing unbiased results. Without discounting the benefits Google offers us all Vidhyanathan explicates the logics that drive Google Search and the implications they have on how we see the world. Like Pariser he explains how Google Search tailors its finds to our online activities. In producing search results Google not only looks at our past searches but also takes into account what we are currently doing in any of the Google Apps including Google Docs or Gmail. Moreover Google Search and Google Scholar only can find information from sources that makes it available to them. In terms of Google Scholar this means that the search engine only finds articles from publisher who have a contract with Google to make information from their publications available. For example when I recently looked for literature on German sociology via Google.de I was struck by the fact that I was provided with information from amazon.de and self-publishing sites that hold student coursework but not from the major German publishers disseminating the key German texts in the subject. All this considered it would seem that whilst Google Scholar and Search might be a good first site to start research it then is advisable to move to more reliable sources like ISI’s web of knowledge and other scientific Citation Indexes. Otherwise it would seems scientific/social scientific research also will be caught in the filter bubble; referring and cross-referring to publications only that Google provides it with. Eli Pariser 2011. The Filter Bubble. Viking. 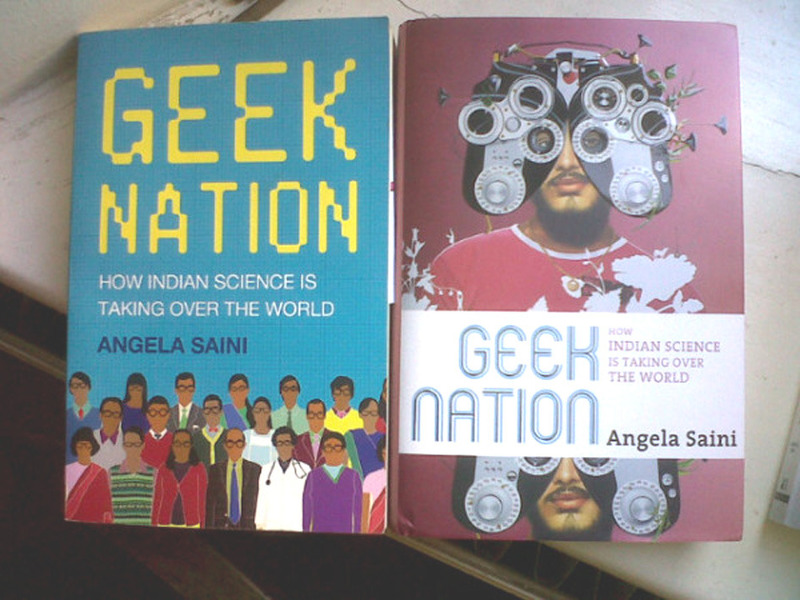 I am not sure whether Angela Saini had expected her book to be such a successful publication when travelling across India to research the Geek Nation. By now it is on the bestseller lists in the UK and India, has been reviewed numerous times and Angela has given a number of presentations and interviews in USA, India and the UK. I was lucky enough to come across an advert for the book on twitter but can’t recall what triggered my interest; I guess it was the curious relationship between science and religion that features in the book, or the ongoing debates about the enormous economic, technological and social transformations that India is currently undergoing. The book is a fantastic read and offered me who knows virtually nothing about India interesting insights into a strange world. 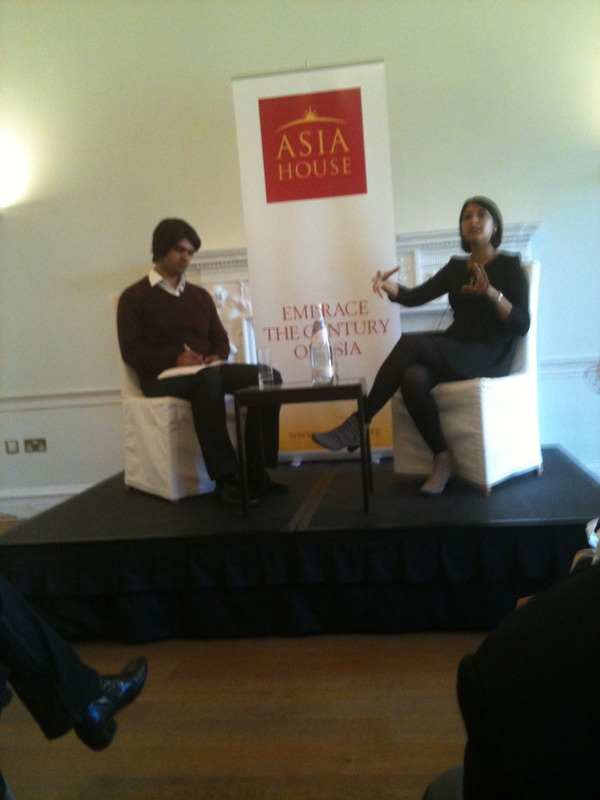 When I saw that Angela was being interviewed by Alok Jha, one of the Guardian’s science and environment correspondents, in London, I immediately jumped for the opportunity to learn more about her travels and research.The interview was held as part of the Festival of Asian Literature at Asia House in London on May 24th, 2011. 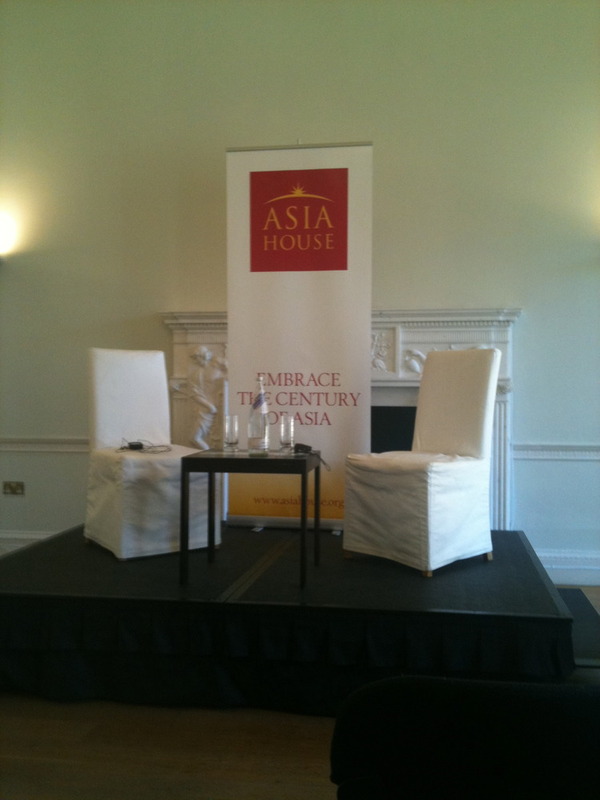 Asia House is a marvellous building in the centre of London, not far from Oxford Street. 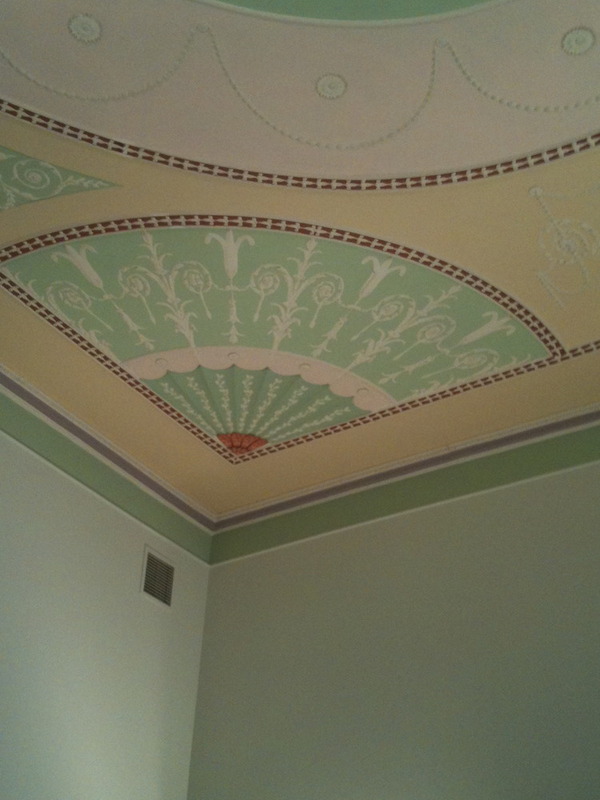 The Grade II* listed building has recently been redeveloped but contains the original decor from the late 1800s. Apart from rooms for public events there are exhibition spaces as well as a splendid cafe in its basement. The interview largely explored the question whether India was on the verge to challenge the old science superpowers of the USA or the UK. Angela almost immediately rejected that India was already overtaken the Western countries in importance for the development of science. However, by pointing to the long history of science in India she argued that the importance and influence of Indian science and scientists on discussion and debate in major fields was already noticeable. Science and in particular mathematics – it is sometimes claimed that the number Zero was invented and first used in India – have played an important role in the growth of India from a developing country to an emerging economy that is often compared with Brazil, Russia and China – (BRIC). In recent years, the social and economic problems of the fast growing Indian society have increased the political support for developments in science and technology. This is reflected in the emergence of now world-reknowned research centres spread across India. Angela’s research involved travelling to these centres to explore the “geekiness”, i.e. the passion and motivation of the people working in and leading the research there. ows up the question of what ‘science’ is actually being undertaken in India and if Indian science will take over the world, which was the title of the event. Angela based her answer to this question on her visits to the various research labs in India. She came to the conclusion that Indian science focuses on pragmatic questions. Funds are given to scientists and their labs if they concern themselves with problems the Indian society currently faces: energy, health, genetics, engineering and computer science as well as space travel, to give but a few example that she covered in her talk and book. This has given rise to important develop in the applied sciences. Yet, there are no or very little funds for basic research although Indian science relies on such research to further advance. It therefore happily welcomes back in India Indian scientists who have been trained and maybe have become world-famous elsewhere, in particular in the USA and UK. Will India soon challenge Western science and become a scientific superpower in its own right? No, agued Angela in the interview and in her book. Yet, the passion, or “geekiness” as she calls it, with which people engage in scientific endeavors, will help transform Indian society and raise its influence in the world. 2 Angela Saini. 2009. The Brain Police: Judging Murder with an MRI. (Wired Magazine).